Mr. Knaebel concentrates his practice in the area of civil litigation with a focus on construction industry disputes. Mr. Knaebel's experience has involved an array of complex civil and commercial litigation involving highly regulated industries including railroads, motor carriers and insurers. Mr. Knaebel has represented and advised national corporations on a variety of legal, regulatory and compliance issues including dispute avoidance, catastrophic loss, risk management and reinsurance. He has significant experience at all levels of the litigation process and has successfully tried cases at the state and federal level. 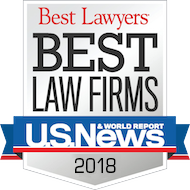 In additional to representing the construction industry, Mr. Knaebel's litigation practice also includes, alternative disputes resolution, transportation defense, complex multi-party products liability defense, sophisticated insurance coverage, and premises liability defense. 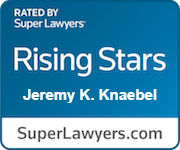 Mr. Knaebel is member of the Pennsylvania, Ohio and American Bar Associations. He is admitted to practice before the state courts of Pennsylvania, Ohio and the United States District Courts for the Western District of Pennsylvania. 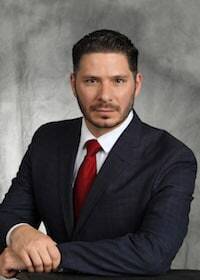 Mr. Knaebel has also presented appellate arguments before the Superior Court of Pennsylvania and litigated cases in New York, West Virginia and New Jersey.